Bud was the first member who brought this serious problem to our attention. 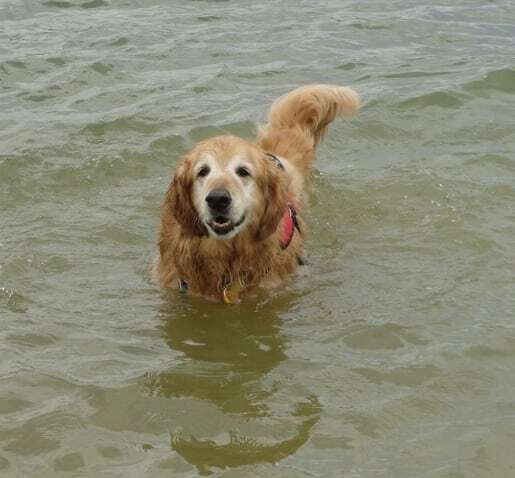 Bud, a sweet Golden from Wyoming, almost lost his life when he contracted MRSA . His heroic bounce back from the brink was recently featured here in The Bella Moss Foundation’s website. He is an amazing dog with an incredible will to live. We’re so glad he and his Mom are here to share their story with us! 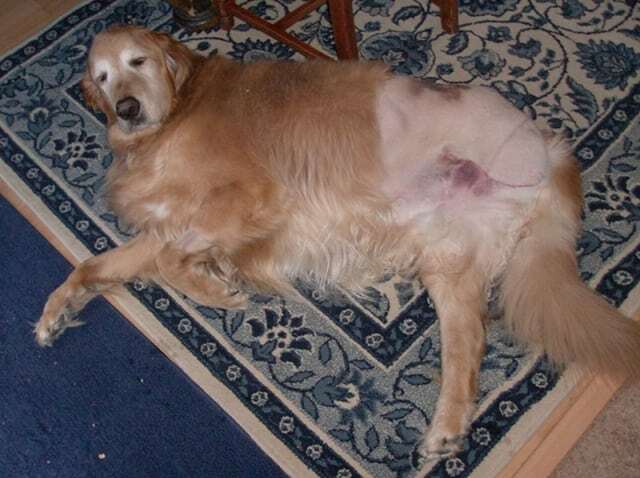 For a more detailed description of how he fought MRSA and won, download Bud’s story here. When it comes to amputation surgery, we can’t stress enough the importance of finding a qualified veterinary practice with strict surgical protocols, overnight care and exceptional cleanliness. 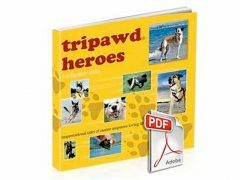 Tripawds are at an exceedingly high risk of contracting MRSA right after amputation surgery when their immune systems are most vulnerable. “In some cases it can into the bloodstream and cause serious internal infections including septicaemia (blood poisoning) , pneumonia (lung infection), osteomyelitis (bone infection), endocarditis (heart valve infection), etc. This YouTube video shares the story of The Bella Moss Foundation, and how one dog’s senseless death from MRSA is educating pet pawrents and the veterinary community about pet MRSA prevention. Do you know of a dog, cat or other animal affected by MRSA? 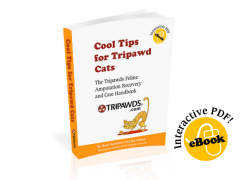 Thanks Rene…you guys are pawsome! I live in Hawaii where MRSA is the highest in the nation, double the national average. A small hospital on the NE side of Oahu sees 2-3 human MRSA cases in just 1 ER shift. The State’s excuse is there is no $$$. There is also no reporting protocol. As you know, MRSA is transmittable from Human to dog and vice versa. In November 2011, my healthy dog goes to the Vet. He is given a drug with a side effect that caused a hot spot. The lesion gets infected. The Vet refuses to take a Culture & Sensitivity test and just prescribes different antibiotic. To make a long story short, when a test was finally done, it showed he had 5 organisms, 2 of which were MRSA and STREP. Both were found to be RESISTANT to ALL antibiotics. My dog endured the pain and discomfort for over 5 months. He had to be out out of his misery. Over that 5 months, the Vet/Clinic never told us to take any extra precautions and they even has us stay in the waiting room with other humans and animals. I have contacted every organization (both State & private), even contacted the Dept. of Health, the Hawaii Vet Board, the State Vet and even the Federal and the media. No one felt it was in the least bit important. I was in close contact with Jill Moss and her team at the Bella Moss Foundation. More and more dogs are being infected and it’s too bad that we do not jump on the bandwagon like the UK. Things need to change before it is too late. I am just 1 voice but hopefully I can yell loud enough! I created a website that tells the whole story. The pics are graphic and the story not so nice to read but all is based on fact. I don’t want my dog’s death to be in vain. Please keep both your human and animal families safe!